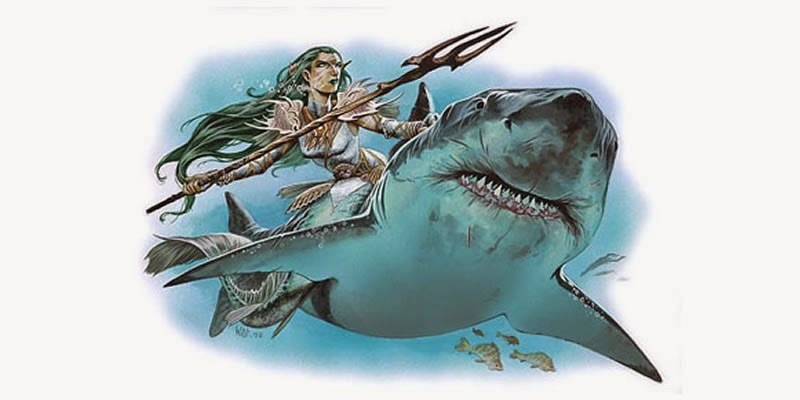 In RPGs, particularly D&D, aquatic campaigns have often been overlooked as fertile ground for extensive adventuring. 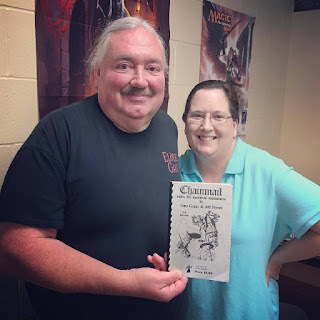 Some recent posting on Tribality had me digging up some info, including on on EN World by long-time practitioner of all-things-aquatic-RPGing Aeolius. But let's start with one of the posts on Tribality.com titled "Enemies & Encounters: 1st-5th Level Aquatic Encounters" here. Also, they recently ran an article on an "Interview with Aquatic Gaming Guru, Emily Kubisz" here. Finally, over to ENWorld.org for some tips on how to spice up the rum of a pirate game from Aeolius here.